WHILE THESE DOCUMENTS ARE PROVIDED FREE OF CHARGE FOR NON COMMERICAL USE, IT IS REQUIRED WHEN QUOTING, CITING, OR REPRODUCTION BY ANY MEANS THAT A COMPLETE LISTING OF THE SOURCE BE INCLUDED. 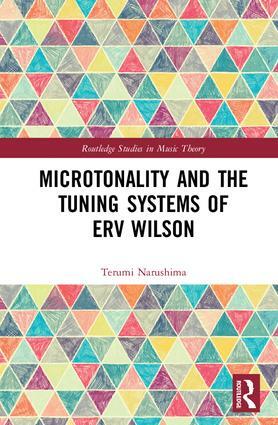 WE PROUDLY PRESENT THE AUTHORIZED ARCHIVES OF ERV WILSON'S MICROTONAL AND JUST INTONATION THEORIES. OUR PURPOSE IS TO ALLOW WILSON'S WORKS TO "SPEAK FOR THEMSELVES". THOSE POSSESSING OTHER UNPUBLISHED DOCUMENTS OF WILSON SHOULD CONSIDER THEM "PERSONAL COMMUNICATIONS" TO BE USED ONLY WITH HIS CONSENT. COMMENTS ARE SOLELY THE VIEWPOINTS OF THE AUTHORS. Uncatagorizable Papers - Useful tools and keys - Papers in progress or awaiting explanation. These papers, most selected by Wilson, are considered by him to be of high quality and often bear a strong relationship to his own work.